More than 300,000 landlords could be slapped with fines of up to £5,000 if they don’t improve the energy efficiency of their rental homes, under new rules coming into force next year. Earlier this week, the department for Business, Energy and Industrial Strategy confirmed that planned changes to energy standards in the rental sector will be rolled out next April. The new scheme will require rental properties to achieve a minimum Energy Performance Certificate rating of E.
The clock is now ticking for the hundreds of thousands of landlords whose properties currently fall short of the required standard – and some may struggle to bring their properties up to scratch in time. 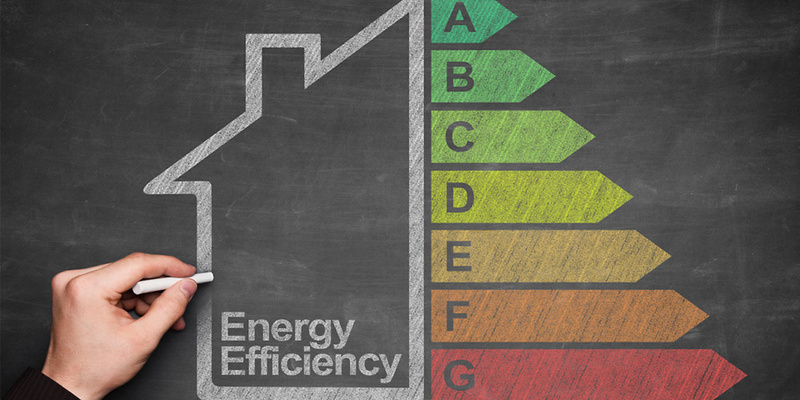 All properties listed for sale or rent in the UK must have a valid Energy Performance Certificate (EPC), which provides a rating of how efficiently your home uses energy. The EPC ratings range from Grade A (most efficient), to Grade G (least efficient). In theory, a home with a higher rating should have lower energy bills, making it more attractive to buyers or tenants. EPCs last for 10 years, and can be be performed by any accredited assessor. But while your letting agent might offer to include the cost of an EPC in your sale or rental contract, it can pay to shop around for the best deal. Check out whether your property already has a valid EPC on the government’s EPC retrieval site. Download an example of an EPC from 2016. Energy efficiency: what are the new rules? From April next year, all rented homes in England and Wales must have a minimum EPC rating of E.
Initially, this will apply only to new tenancies and renewals, before being extended to all existing tenancies by 2020. That means that landlords will not legally be able to rent out homes with an EPC rating of F or G – and if you violate these rules, you could face fines of up to £5,000. How will the new regulations work? The full details of the new scheme won’t be published until October, so it remains to be seen how the rules will be enforced. Renting out a property which doesn’t meet the minimum standards – £2,000 (for less than three months) or £4,000 (for more than three months). Are there any exemptions to the rules? Currently, around 330,000 rented homes have EPC ratings of F or G, with the majority of these being older properties. While listed homes will be exempt, there has been no indication so far that owners of non-listed homes will be given any leeway – even if the property’s age makes it difficult to insulate. He warned that bringing properties up to the E standard may be an expensive burden for some landlords. If you’re looking to improve the energy efficiency of your property, we’ve got a range of advice to help you on your way, from shorter-term cost-saving measures to larger projects.